A lot of people dream of living in Hawaii some day. I know, I was one of them. I dreamed of moving to Hawaii or another tropical island before I’d even been here. Of course that dream became even stronger once I visited on vacation. The problem is, living in Hawaii is different from vacationing here and VERY different from those images of paradise people have in their heads before they’ve ever been here. Its easy to fantasize about living here with days spent lounging on the beach with mai tais. However, for anyone not independently wealthy, that is not the reality at all. 1. Visit. It might seem obvious, but many people move here each year that have never set foot on the islands. Its best to visit the island you’re considering moving to before you move. Each island is different so just because you loved Oahu on vacation, does not mean you’ll love living on Kauai. Even different parts of the islands is different – the North Shore of Oahu has a very different vibe than Waikiki and Hilo and Kona are very different even though they’re both on the Big Island. 2. Take a trial run first. This means staying in a condo or house near where you plan to live. Shop at the supermarkets, cook your own food, drive around during rush hour times just like you were living here. Its a different world here than inside the confines of a fabulous resort! 3. Have at least 6 months of money saved for the move. Maybe less if you have a job lined up or are keeping your job on the mainland. Do not expect to find a high paying job right away when you get here. 4. Research the job market extensively if you will be looking for work here. Some areas have very few jobs available and companies aren’t as open to hiring new arrivals since many people leave within their first year. Also, some areas have a much better job market than others and you’ll want to make sure your skills are in demand where you choose to live. You’ll also need to figure out the wages and if it will be enough to cover your living expenses. 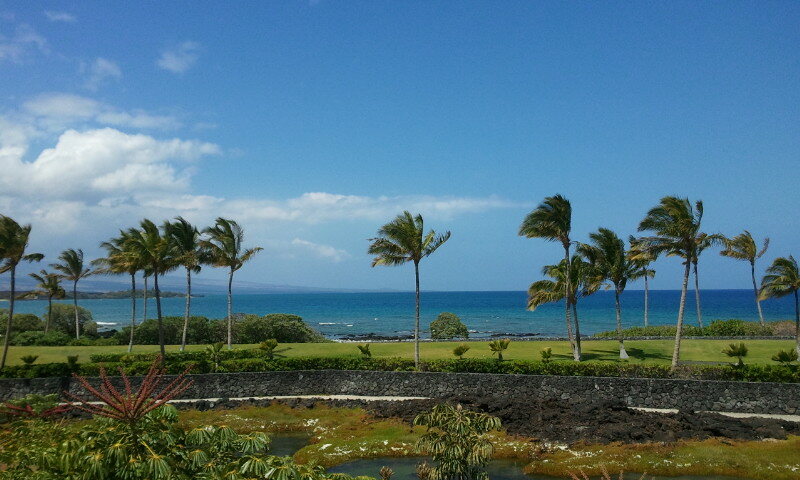 Hawaii is an expensive place to live and many salaries are not comparably high. 5. Don’t buy a house on day 1. Only buy right away if you have spent considerable time here and know exactly what neighborhoods and areas you want to be in. There are many reasons for this advice: One is the weather. The weather can be very different only 1/2 mile apart. Here in Kona, moving up or down a single street can mean a few degrees temperature difference and having rain daily vs. rain less frequently. Moving further south a few miles means rain many afternoons, whereas moving north a few miles means sunnier skies. In this same vein, vog can be better or worse depending on where you live. Another consideration is to determine other factors such as noise. Some areas higher in elevation have been inflicted by coqui frogs which can be a nuisance if you’re expecting quiet nights. Third, if you have kids, you’ll want to get to know the schools and determine which school you want to attend. Fourth, many people don’t stay longer than a year and in some areas, its hard to sell a house so you don’t want to be stuck with a property you can’t sell if you decide not to stay. 6. Research the schools if you have school aged children. Some schools have a better reputation than others. And some schools have such a bad reputation that you may be forced to send them to private school or homeschool to get an adequate education. 8. Expect things to be different. Things move slower here than they do in many parts of the mainland. This is particularly true when you go to a store and find the shelves empty of organic milk and have to wait a week for them to restock. And finding some items requires you to buy them from the internet as they aren’t sold on the island and then waiting for them to ship here. Also, many things don’t run like a well oiled machine like we were used to. Expect to show up to the wrong ball field at the wrong time because the t-ball schedule changed and no one told the coach. Its different. Its slower and more laid back. And as long as you’re expecting that and go along with it, you’ll find you laugh about it, shrug your shoulders and carry about your day. Hawaii can be a amazing place to live, but it’s different than what you’re used to. Hopefully the list here can help you evaluate a decision to move and come in more prepared to deal with Hawaii’s unique way of life.